Dessert Darling Wedding Dessert Table, Part 3: Swizzle Cakes | Dessert Darling were a no-brainer for me, as you may recall my glowing Golden Cherry review of them here. We had Lemon Drop Martinis, Cosmos, and White Russians for the big boys, and non-alcoholic Shirley Temples and Chocolate Cola for the kiddos. Those white russian cupcakes are some of the best things I’ve ever ever ever eaten…. 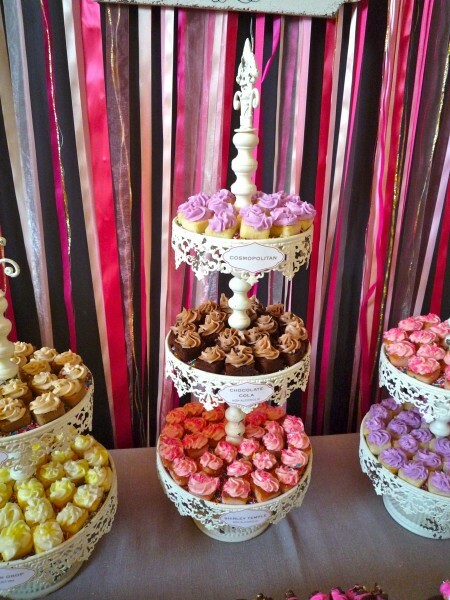 Where can I buy those cupcake stands?! My wedding is approaching and I would love to have those.